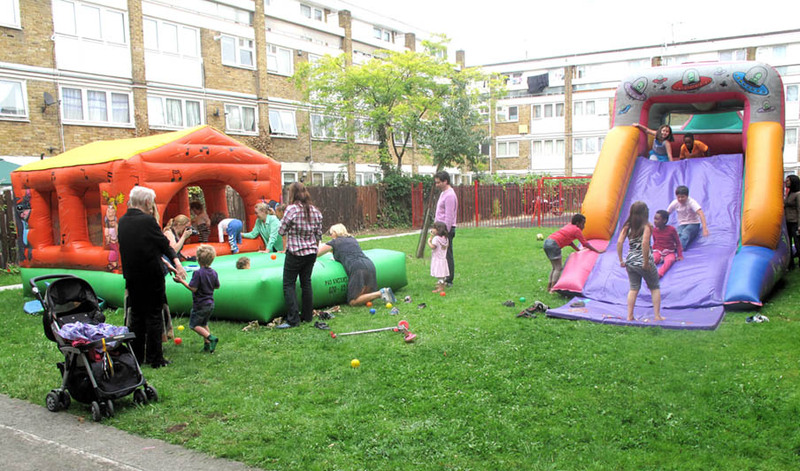 A lot of the children’s activities for the Big Lunch this year were rained off, so thank you Suley for arranging this for the children as a fun alternative. 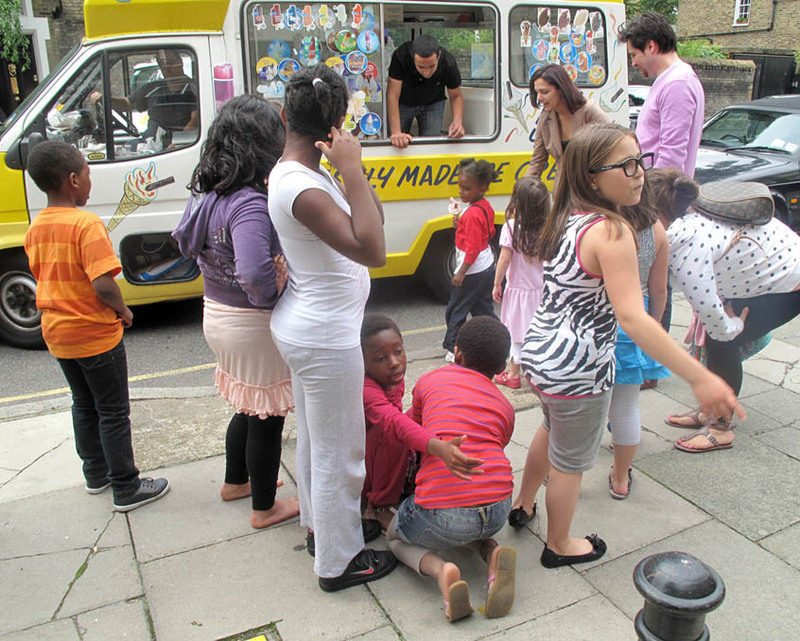 The children are offered ice-cream. Bouncy castles at the Lockner Estate.